We don’t know when. We don’t know how. We don’t know who. But at New York Comic Con this weekend, Walking Dead creator Robert Kirkman announced that his two popular AMC zombie shows will soon be crossing over. It’s so huge, the official Twitter account even posted some art. Neither The Walking Dead nor Fear the Walking Dead uses specific dates, but it’s pretty clear that Fear the Walking Dead, which is set in the Southwest, is a few years behind The Walking Dead, which is set in the Southeast. (The Walking Dead is about to start season eight, while Fear is just finishing season three.) 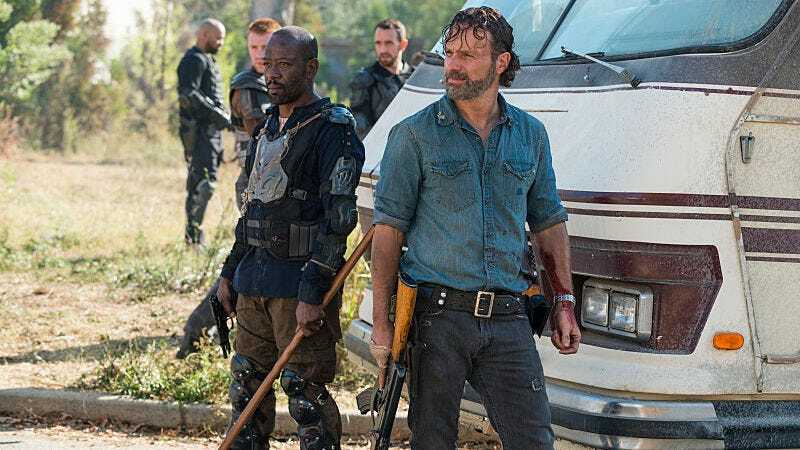 The time difference would likely make it easier for a Walking Dead character to cameo on Fear the Walking Dead, since we know that character is still alive a few years later. If it was reversed, it could be considered a spoiler. And yet, maybe that could be a cool story twist too. There’s really no way to tell just yet. Kirkman and his colleagues on both shows have played down this potential crossover for years, but now it’s happening anyway. We just know, for fans of both shows, it’ll be nice to see the shared universe finally come together, whichever way it happens.